Do you need easy remote maintenance for your PLC? Then the REX product line is for you! Using the MYREX24 V2 Portal, you can get access to your equipment anytime and anywhere with completely secure OpenVPN access. Not sure how to setup an OpenVPN – not a problem, because MYREX24 V2 Portal does it all for you! The portal is managed by Helmholz and your account is free. All you have to do is purchase the REX router and the setup is done in a very short time. 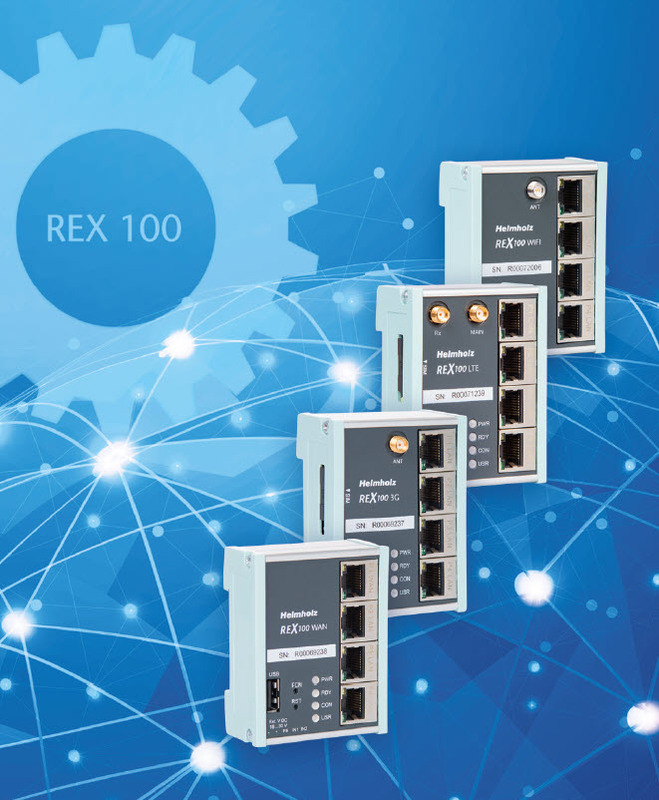 Ethernet participants, such as PLC control systems, can be reached with the REX 100 industrial routers, irrespective of the manufacturer. 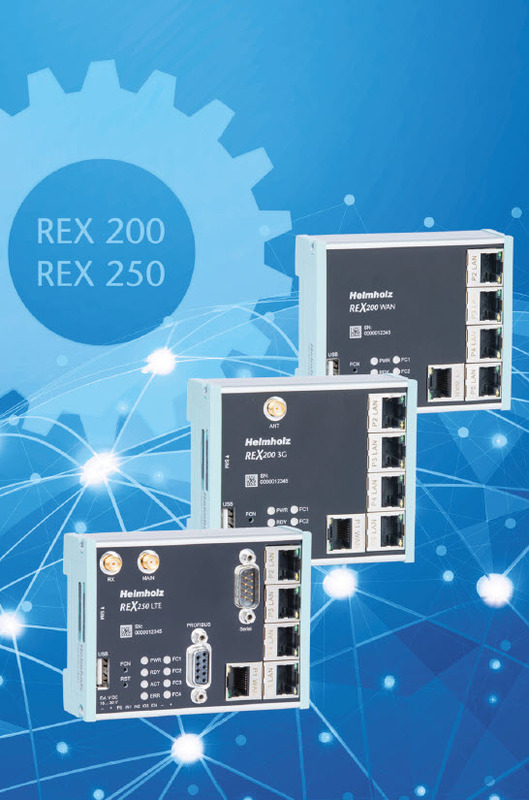 The REX 100 routers are systematically designed to operate in conjunction with the myREX24 portal: All programming and remote maintenance is carried out exclusively through the portal. Data transmission takes place via an encrypted VPN tunnel on the basis of the secure OpenVPN protocol. With the digital inputs, alarms can be sent via the myREX24 V2 portal as SMS and e-mail. The USB host port, present in all devices, enables the connection of USB devices (e.g. programming port of a motor) via the remote maintenance tunnel (USB-over-IP). Data server for data access to SPS via RFC1006 (ISO on TCP), MPI, PROFIBUS, Modbus TCP/RTU, Allen Bradley, etc. (e.g. programming port of a motor) via the remote maintenance tunnel (USB-over-IP). 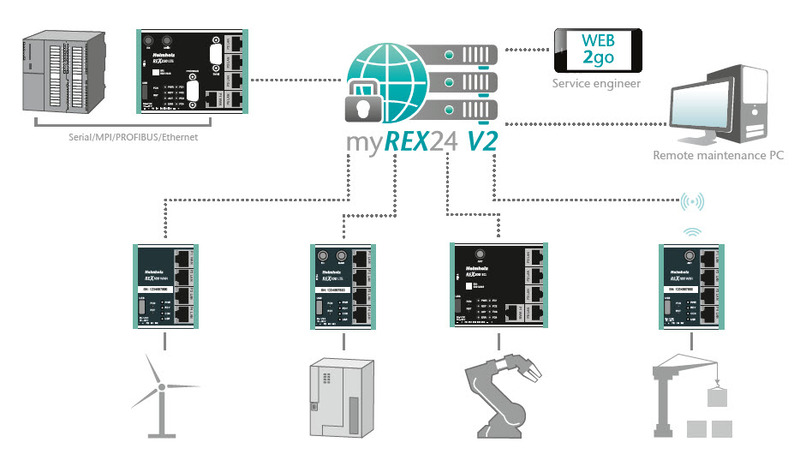 In combination with the myREX24 V2 portal, the complete scope of industrial routers with the functions of remote maintenance, visualization, WEB2go, alarm and logging of the PLC data is possible.